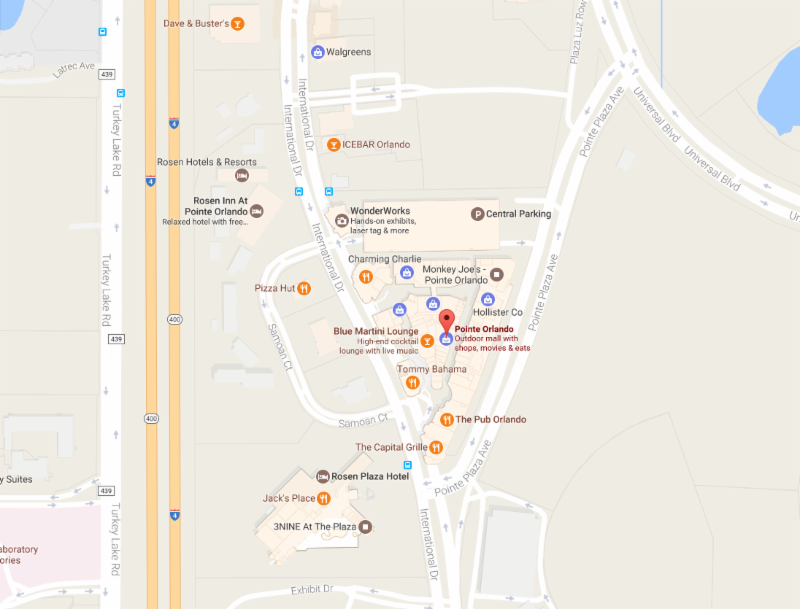 High Street Management, a division of High Street Retail USA, announces the kick off of the Pop Up Market at one of Orlando’s premier shopping centers, Pointe Orlando. The Pop Up Market will take place every Thursday through Sunday from January 19 – April 9, 2017. This unique retail opportunity allows small businesses, artisans and crafters to take advantage of the busy tourist season in Orlando by presenting their products in a temporary and affordable setting. Market vendors can rent their location weekend by weekend, or any combination of weekends during the 11 week event. Each location consists of a 10′ x 10′ space, covered by a white rental tent, tables and access to electric. The Pop Up Market will be located throughout the exterior of the center, allowing vendors access to a constant flow of customer traffic. In addition to the available tent locations, vendors can rent an inline storefront for the duration of their registration. Inline spaces range from 1,500 to 10,000 square feet, and will capitalize on the natural flow of pedestrian traffic within the center. This option allows small businesses to benefit from the professional look of a permanent space at a temporary price point. In addition, the need for weekly set up and tear down are eliminated, making it possible for a vendor to quickly open for business and easily secure items overnight. According to PopUp Republic, the pop up market industry is responsible for $10 billion in retail sales. The Pop Up Market at Pointe Orlando aims to provide customers with a unique shopping experience with familiar brands as well as products that are new to them. As an added benefit, vendors who register for at least eight of the 11 weeks will be included on promotional materials, social media campaigns, and news releases promoting the Market. A vendor referral program and discount will also be established. For vendor pricing information and more details, please contact: Lenor Ryan, LMR@HighStreetRetailUSA.com, (954) 997-5410. Interested vendors should submit their registration form via email, accepted registrants will be notified and able to select their location as soon as their payment is received. A vendor packet will be provided to each vendor with all the pertinent details for the event.